I volunteer at a rail museum, and we have a '67 TDH3501 that we use for touring people around the grounds. The 3501 is about the last of the 'Old Looks'. The old bus runs very well, I just hope the engine stays together! Nice! Got a photo? The 3501 was succeeded by the 3502 which was the last of that style. The 3301 New Look replaced the 3502 in 1969. I'll try to get a picture next time I go out. I know there was a 3502 in '68, but I am not sure what the differences were compared to a 3501. Mine came from a bus, the story I read was they were put in busses during the Vietnam era, and they were converted to ambulances. I've got GMC service bulletins from the late 60's to 70's that mention the Turbo version DT478 in the military ambulances. 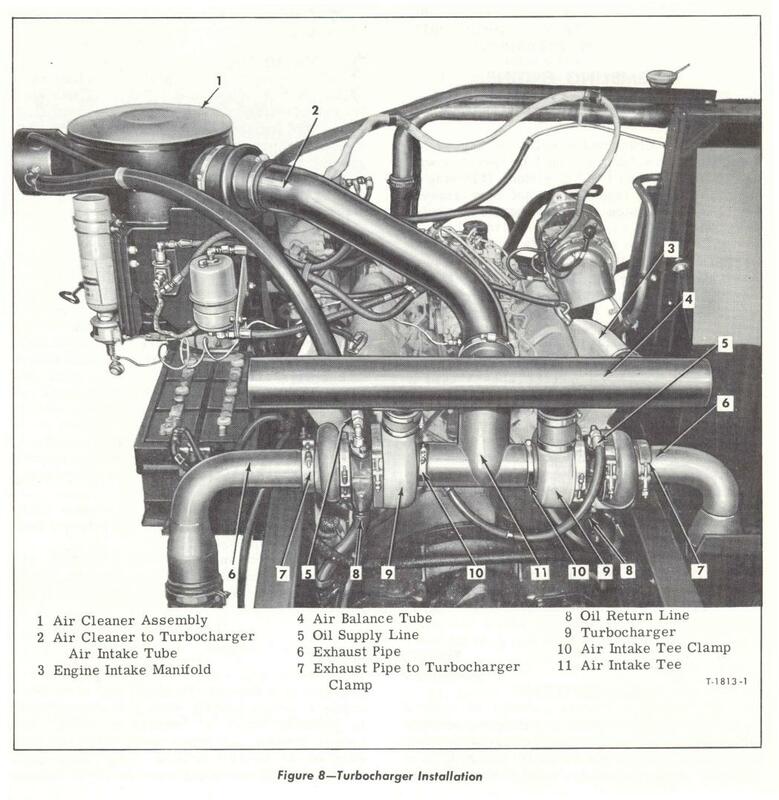 The DT478 was used in rear engine GMC school bus chassis (DSPA 5000's?) that were built with Superior bodies for the U.S. Army. The buses could be converted into large ambulances, a common feature of Army buses at the time. As far as I have been able to find out, these buses were the only vehicles built to use the DT478, though there were marine versions of the turbocharged ToroFlow. Many of these buses were eventually re-engined with small Cummins V-8's after 8-10 years of service. Good question. It is as if GMC was testing the DT478 in the Army buses, maybe they were not sure how much boost it could stand. This was all before the ToroFlow II came out, so it was right during the time GMC was having issues with the ToroFlows.